Hello Snode owners! It’s time to vote for the latest proposals! There is a great responsibility for Service Node (Snode) owners to vote either “yes,” or “no,” on the proposals. 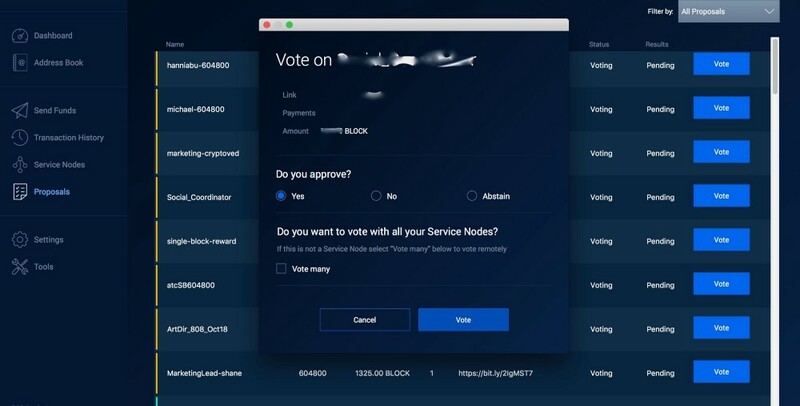 It cannot be emphasised enough how much the community as well as the Blocknet team relies on Snodes to vote on project proposals to ensure continued funding for development of the Blocknet. 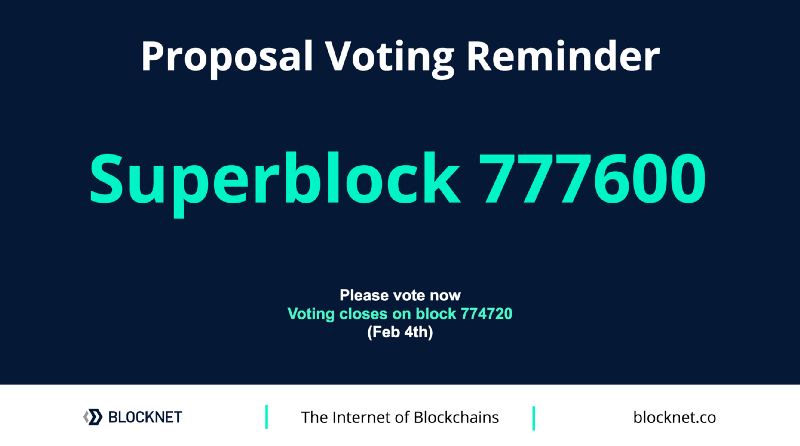 The proposals for superblock 777600 can be viewed below or on the forum here. Voting will close at Block 774720, but your node must remain active until block 777600 for your vote to count. Please note, proposals are being submitted individually so please make sure you scroll down and take your time to look over each proposal. If using an older wallet, follow the instructions on how to vote for each proposal below. I am separating proposals because a single proposal for my efforts does not fit in the superblock. Note the proposals with sufficient votes will be paid out of the Dev Fund if they do not fit in the superblock. Open wallet and go to Tools > Debug Console. The debug console will open in a new window. This build and test server is responsible for auto-generating all of the dev builds for Linux, Mac, Windows and is extremely important for QA testing as well as for validating Blocknet’s code on github. It also allows the community to beta test our upcoming releases. Note if this proposal passes and doesn’t fit, it will be paid from the Dev Fund. As a core contributor of Blocknet, I take part in many daily tasks that help keep the project running smoothly, as well as larger tasks that move Blocknet forward. Putting in an average 60 hours a week, I partake in projects that build Blocknet’s foundation and assist in other projects in order to help meet objectives. This proposal is for compensation to allow me to continue contributing to Blocknet for the next upcoming Superblock period. I have a technical background with a degree in mechanical engineering, prior development experience, and have spent a few years a a few early stage startups (pre and post seed round). This experience helps in various aspects of the project including working in a fast-paced environment, wearing multiple ‘hats’, pivoting priorities and tasks, understanding the project technicals and vision, communicating the different components, conveying concepts into diagrams and text, and budgeting and financials. Attention to detail is another useful trait. When reviewing interface UI and user experience, performing QA, writing specifications and documents, and communicating concepts, this attention to detail is important as it’s typically the intricacies that make a difference. A bug regarding the tx broadcast still unsolved. Still investigating. Compile and write regular newsletter and proposal summary. Amcharts is used for the blockdx-ui chart. Currently we are on v3, while v4 is available (beta) and provides additional flexibility in charting options which will be reviewed for implementation. 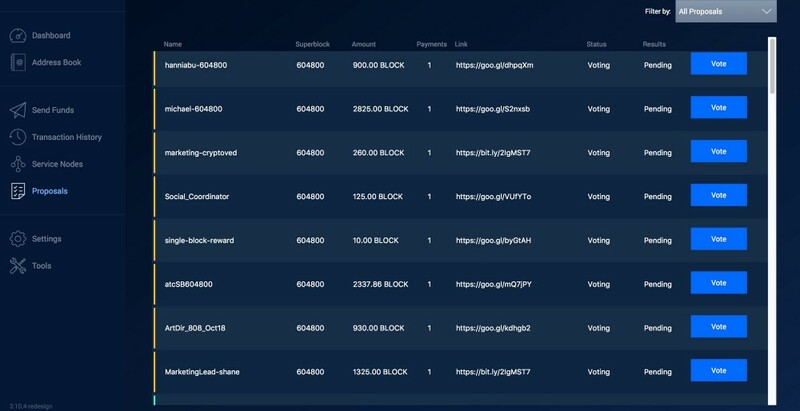 Various backend services are used to help support the blocknet system, this item covers the month to month costs for these items. Note will be pulled from Dev Fund if the proposal passes and is bumped. As a run-off of our QA work, we will be aiming to circle back to communities each time we update support for a new client version — serving as a periodic promotion of Block DX to every supported community. An introduction to Superblocks and a guide to submitting and voting for proposals, can be found here. A proposal category was created in the Blocknet Discord for focused and specific discussion of proposals and ideas. Within this category, there is a channel called #anon-snode-feedback for Service Node owners to provide anonymous feedback on proposals. Voting will become a great deal easier and much more user-friendly in the new wallet, taking just a few clicks. You can view the designs for the voting functionality here. An introduction to Superblocks and a guide to voting can be found here. In addition, we have created a separate proposal notification email alert reminder that snode owners can sign up for here so they do not forget to vote. (This email is separate to the Word on the BLOCK newsletter email). PLEASE VOTE ASAP. MANY THANKS!